When Lis wrote and asked if I’d support her new effort to share and connect Catholic blogs at Catholic Mommy Blogs, I said, “Absolutely!” She interviewed me this week and we talked planning, and organizing, and faith and homeschooling! Click on over and read it here! 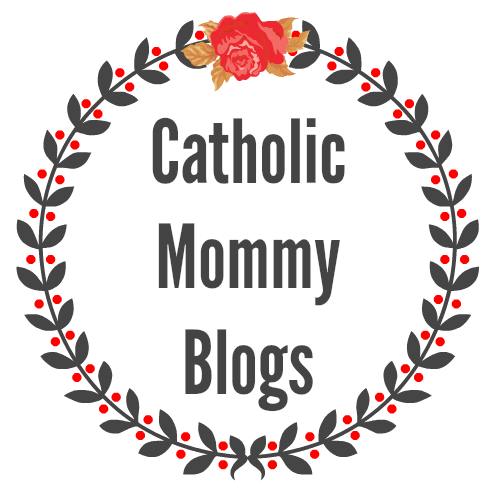 Catholic Mommy Blogs is a free marketing service for Catholic Mommy Bloggers and a directory and sharing space to help Catholic Moms find their daily dose of inspiration, prayer, crafts, homeschooling tips, and humor to get them through the day. Thanks for the call out, Jen! I hope everyone will click over and read your interview because there’s so much good stuff 9n there. Thanks for sharing your top tips on organizing and planning with us!